Passes for CMA Fest Week Events at the Country Music Hall of Fame Available Now! The Country Music Hall of Fame has announced a limited number of CMA Fest week events. It pales in comparison to past years, so we expect more artists to be added! The current schedule is below. Passes are now available to the general public here! You may add songwriter session passes to your cart, but must also add museum admission for the day of your event as well. Meet & greet passes are free and may also be added to the cart. Unfortunately, Randy Travis is already sold out! The majority of songwriter sessions and panels have included meet & greets in the past. Hopefully that will hold true this year as well. 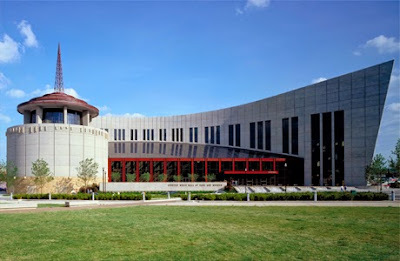 Visit the Country Music Hall of Fame for updates and details. Museum admission or Museum membership required for program admittance. Due to limited seating, a program pass is required for your complimentary seat at all Songwriter Sessions, Instrument Demonstrations, and Special Programs. Passes will be available at the Museum two hours prior to the start of the program, on a first-come, first-served basis, unless otherwise specified. Your pass does not guarantee you a seat after the program begins. Seating is general admission. Museum members may reserve Program Passes in advance by calling 615.416.2050 or emailing Reservations@CountryMusicHallofFame.org. Reservations are limited and will be accepted until 48 hours before the program. In an effort to accommodate as many guests as possible, member Program Passes will be released to the general public if they are not claimed at least 15 minutes prior to the start of the program, unless otherwise specified. Your Pass does not guarantee you a seat after the program begins. More information available from the Hall of Fame here. Members, click here to view our updated CMA Fest Autograph Signing Schedule, or click here to subscribe now!